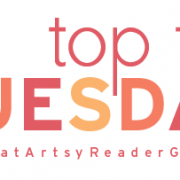 This week’s TTT topic is 10 Books I Meant to Read In 2018 but Didn’t Get To. So many books, so little reading time, right? This could easily be a Top 100 Tuesday list if I listed all of the books I had planned to read last year but didn’t get to. 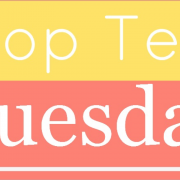 To narrow my list down to ten books, I scrolled back through my most anticipated books posts from last year as well as my Can’t Wait Wednesday posts. Below are ten from all of those posts that, even though I was dying to get my hands on them and read, I ended up not getting to them at all. I’ve gotten off to a great start with my reading this year though so I’m hoping that trend will continue and that I will get all ten of these read in 2019. What are some books you intended to read in 2018 but didn’t get to? Do we share any? Same here. I haven’t read a single negative review for Evelyn Hugo. Everyone seems to love it. I was sad to finish the series, but proud of myself for getting to Obsidio. An excellent ending. Josh & Hazel was a favorite of mine, but honestly, I was adoring all that was CLo in 2018. Pride was a really good retelling. Hope you get to some of these. I still can’t believe I haven’t gotten to Obsidio yet. Even my mom has completed the series, lol. Circe, Josh and Hazel and Evelyn Hugo were all on my list to read in 2018. 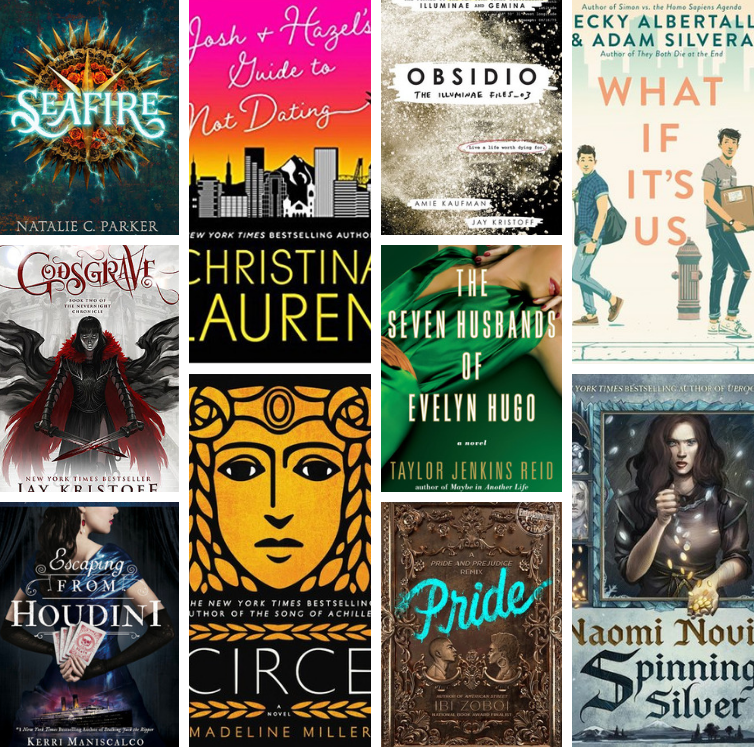 Circe is on my list – and never mind about Obsidio – I didn’t get around to the first book in that series, which I’d really love to read… Great list – I hope you enjoy reading these in 2019! The one good thing about the Illuminae Files books is that they go quickly even though they’re long books. I’m hoping to finally knock out Obsidio sometime in the next few weeks. Sometimes it seems like the books I want to read the most are the ones I never get to! Evelyn Hugo was really good, different for TJR! Same here! I think I overhype some books so much in my own mind that I’m almost afraid to read them in case they don’t live up to that hype. Same here since I love the series so much. It will happen soon though, I hope. What If It’s Us and Circe are on my TTT as well. I got a copy of Spinning Silver last year too and still haven’t read it. Hope you love all your 2019 reads! Loved Josh and Hazel and Evelyn Hugo! I really need to get to Obsidio and want to fit in What If It’s Us. I think Evelyn Hugo is the one I’m most determined to get to from this year. I haven’t read a single negative review for it. Godsgrave, Houdini, and Spinning Silver all COULD have easily made my list. I basically could have had a hundred book list, but … yeah. Same here! I feel like I have a whole library of books I meant to read last year, lol. I’d like to read Josh and Hazel’s Guide To Not Dating this year… Or anything by Christina Lauren actually. I hear good things. I’ve only read one Christina Lauren book so far but I thought it was very good. Oh yeah Circe I hear SO many good things about. Good call- I definitely need to get that. I thought Seafire looked pretty good too. Circe is one of the ones I’m most annoyed at myself for not getting to because I’ve read so many great reviews for it. I truly love The Seven Husbands of Evelyn Hugo. It was my #1 read of the year. And What If It’s Us was so sweet and funny and charming. I definitely want to pick up Josh & Hazel soon! 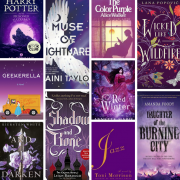 Evelyn Hugo is the one from this list I’m most determined to get to this year because of all of the rave reviews it has gotten. I could prob make a top 100 list too lol. I was kind of on the fence about Spinning Silver, so it’s prob not one I’ll get to even though I like the sound of the premise. I hope you can get to some of these this year! Same! I’m hoping to get to it as soon as I get through my February ARCs. Oh, I hear you — my want-to-read-but-never-got-to list is neverending at this stage. I’ve been seeing Circe get some great reviews, but haven’t yet taken the plunge either. I’m pretty determined to read Circe this year. Haven’t seen a bad review for it yet. I’ve heard so many good things about The Seven Husbands of Evelyn Hugo so I think I’ll give it a read this year as well. Great list! Right? I’ve not read a single negative review for it. I can’t wait to finally get to it. SO MANY GOOD TITLES ON HERE. I hope you get to them soon and enjoy them! But, especially The Seven Husbands of Evelyn Hugo. Hands down, one of my favourites of all time! I’m really glad to hear that about Evelyn Hugo. It’s my number one priority read from that list.